Relaxed tops paired with fitted bottoms is one of the easiest ways to complement and polish an apple body shape. This combination emphasizes your smaller lower half and is super comfy. 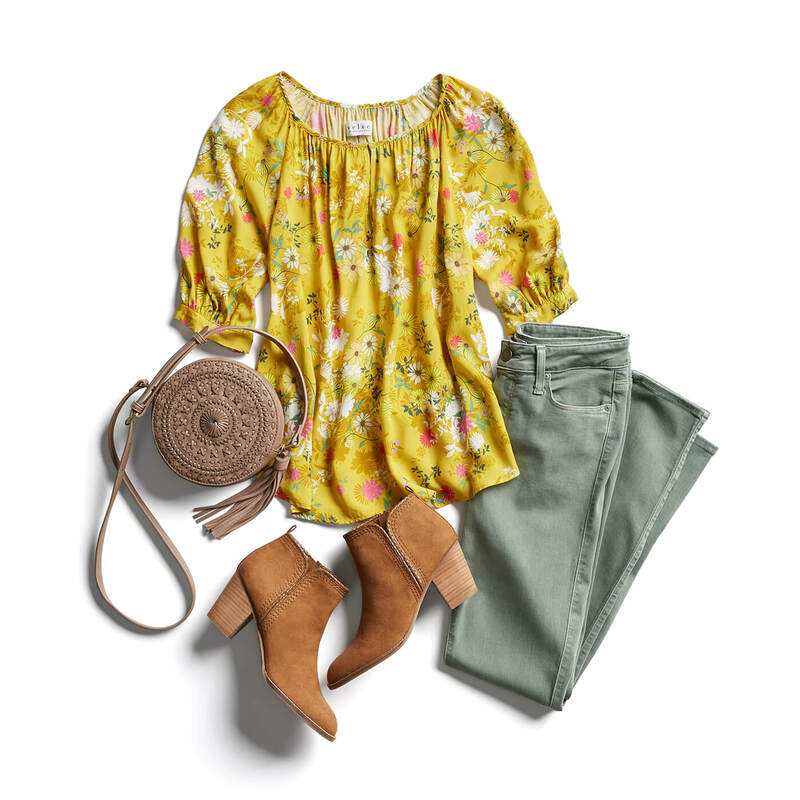 The most flattering blouse styles don’t rely on a traditionally structured waistline, and they allow you to show off your arms and full bust! Keep scrolling to see the best tops for an apple body shape! 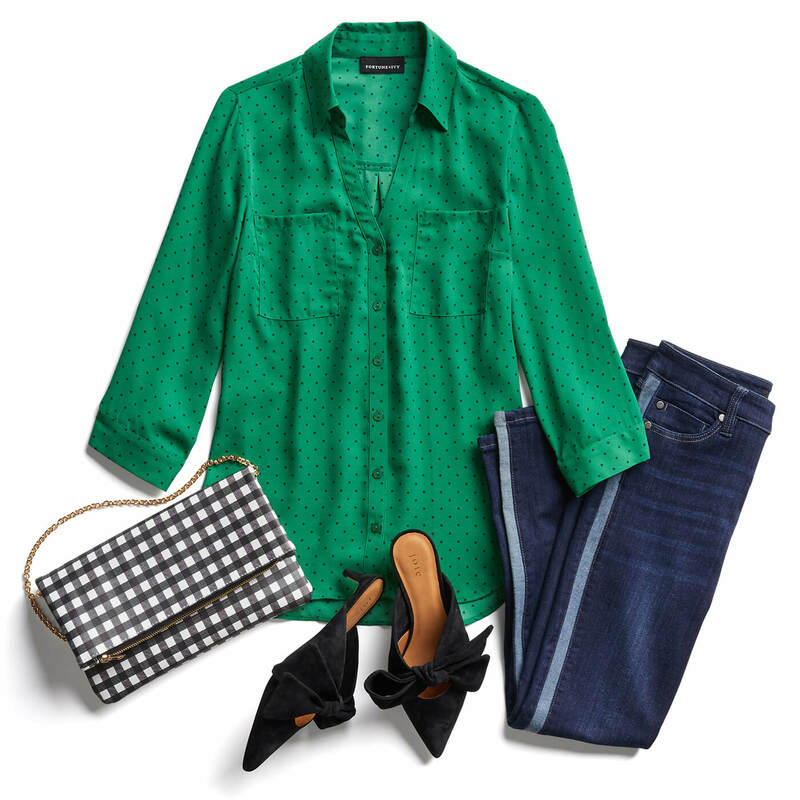 The key to complementing your shape is balancing your smaller lower half with airy tops. A-line blouses are super flattering thanks to their flowy fit and look great with leggings, pencil skirts and denim. (Hint: find your perfect pair of jeans with our helpful post, Best Jeans for Apple Shape). Stylist Tip: Apple shapes often have enviable full busts and sculpted arms, so consider v-neck, wrap and scoop necklines that highlight some of your best assets. Take your comfort to the next level and add silhouette symmetry with relaxed, long cardigans. To balance out your frame, pair slim jeans with an elongated sweater to give more length to your shape. Flowy, button-down and waterfall cardigans are fab choices to pair with leggings. Button-down blouses make wonderful wardrobe workhorses, as they’re a classic style you can wear season after season. Consider opting for a boyfriend button-down or sizing up for a relaxed fit that won’t pull in the bust. Add structure and style with a vest or fitted jacket that hits right above your hip. Not positive you’re an apple body shape? Check out our helpful guide, The Facts About Figures: The Apple Shape to help you confirm.